I was a twelve year old kid, born in Paddington, and living in West Hampstead, when I found Slade. 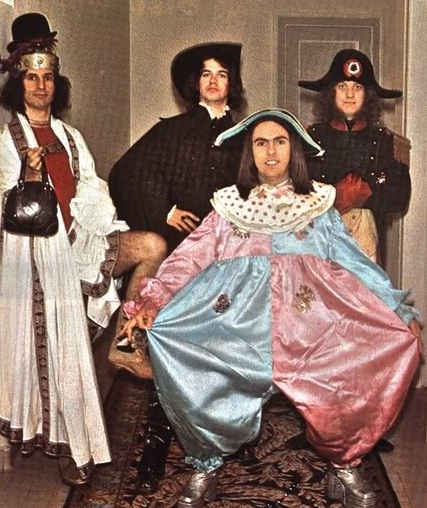 Noddy Holder, Dave Hill, Jim Lea and Don Powell made it big on the music scene in 1971. They had a minor hit with "Get Down and Get With It" before "Coz I Luv You" hit No1 in October. They had follow-up No4 hit with "Look Wot You Dun" in the Spring of 1972. I liked "Coz I Luv You" and "Look Wot You Dun" but I never purchased them initially. The first single I bought was "Take Me Bak Ome". I had seen the band perform on a tv programme called "2Gs and the Pop People" (a series hosted by the 2nd Generation dance troupe - which had featured guests every week) and I was hooked. I then bought "Mama Weer All Crazee Now" and all the Slade singles right up until their last release "Universe" in 1991. I joined the Slade Fan Club in 1973 and eventually became such a fan that I actually ran the club myself between 1979 and 1981. This website is dedicated to the magazines I bought. I spend hundreds (if not thousands) of £ on the weekly teen mags. I remember occasionally buying the Disco 45 mag in 1971- which included the songwords to all the hit singles. It was ok. But I really liked Popswap which was first printed in 1972. Popswap had music fatures and pop pin-ups. It's issue coincided with me becoming a Slade fan. The band were featured often along with Marc Bolan, The Sweet, Donny Osmond and David Cassidy). It had pages where fans had small ads to swap (not sell) pop records and souvenirs. Other pop magazines soon followed in publication: Fan, Superstar, It's Here and Now, and many others. I used to trawl through these mags in my local WH Smith newsagents in Swiss Cottage and buy every issue that featured Slade. I would eventually throw the magazines away - but to this day I have kept all the Slade features and pin-ups. All these magazines ran for about three years between 1972 and 1975, when the glam rock and teeny bop bands were big. They all declined in late 1975 when Disco music became more popular. 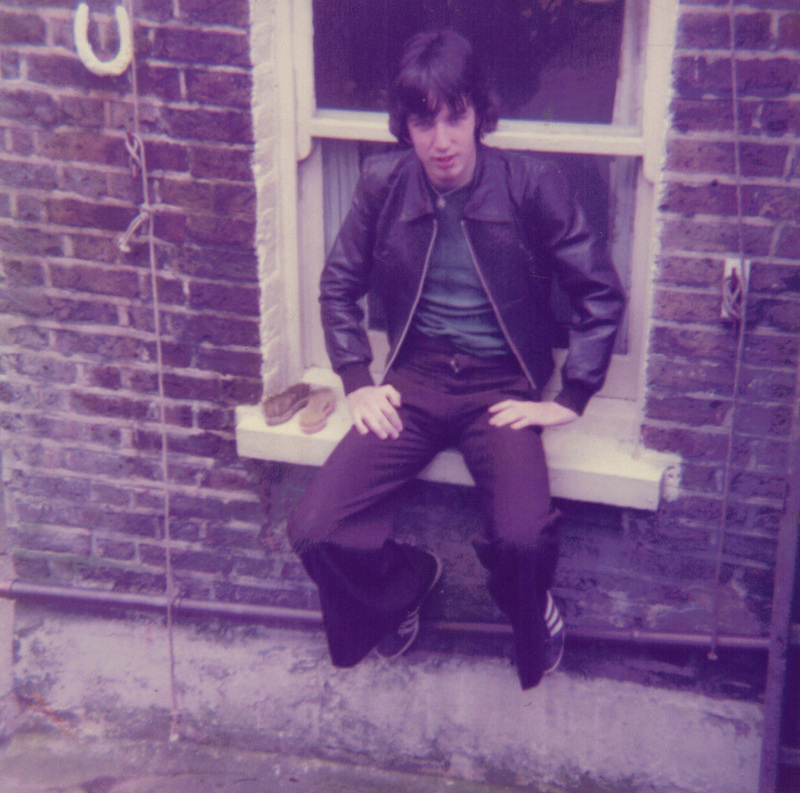 They were killed off completely between 1976 and 1977, when punk came into nfashion. Also, Slade featured in many of the girls' mags (such as Jackie, Diana, Fab 208, Mirabelle, Mates, etc). I was always too shy to buy these - as they were girls' mags! However, I used to offer financial bribes to my two mates, David Davensac and Chris Dancy, giving them money if they bought them for me! All this so I didn't have the embarrassment of buying these mags myself! I eventually moved on to buy more "serious" music papers. I really liked Disc, which eventually merged with Record Mirror. I also bought Melody Maker, NME, Sounds and Superpop whenever they featured Slade. 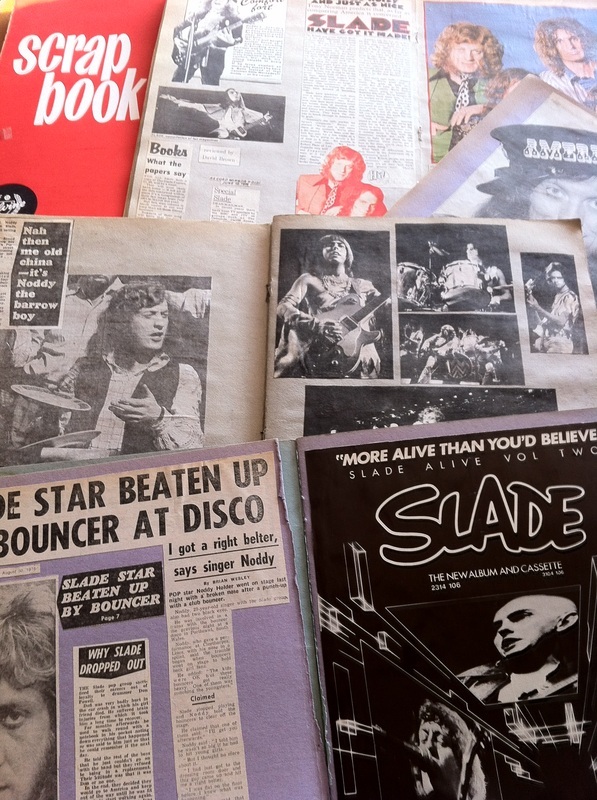 In my loft I have boxes of Slade pin-ups, posters, interviews and clippings. They are going yellow with age and I thought that I should do something with them. I therefore decided to scan a load of them and put them on this website. In that way I can keep the memories and share the history with any fans that want to check this site. All the major Slade events are covered here:- The Lincoln Festival in 1972, Slade's London Palladium concert 1973, The NME Music Awards show 1973, the Earls Court gig , Don's accident, The filming of Flame, Slade emigrating to the USA in 1975, Jim and Nod's marriages, The Reading Festival, Nod getting beaten up in 1978 etc. I was suprised when I re-read many of these articles. I have realised that much of Slade's press was never quite as bad as I imagined. (I seemed to remember that the band received loads of negative press when they fell from grace with the public - but this really isn't so). 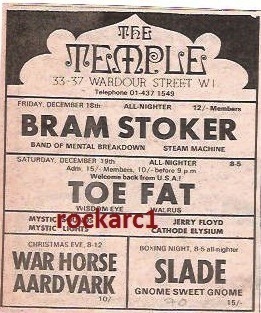 Many album and concert reviews were quite balanced - it was just that the writers were never so hooked on Slade as I was! 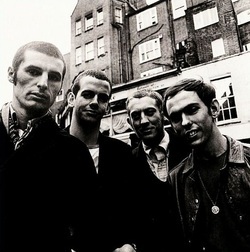 Also, I was shocked at how many times Slade were featured in Jackie. I seem to have built up a big collection of Jackie features - sometimes I inheirited articles from girl fans who I knew giving them to me when they moved on to other bands. Some of the Jackie articles are very trivial in content - but most of them were based on fact and they give a good insight into the private lives of the band. Also, I have included the famous photo shoot the band did for the 100th issue of Music Star. Jim told me that he got totally fed up with these shoots. He hated being made to wear wacky party gear and put on false smiles. He really didn't believe that the band should be doing tacky photo shoots for teeny mags. The Music Star 100th Issue stuck out in Jim's memory as he, very reluctantly, managed to smile for only one of the photos - but looked completely pissed off in all the other shots and these couldn't be used! This website will not have any real written text by me. It is all about Slade cuttings. I have made it a light weight, mainly pictorial, "coffee table" site for fans to look through. So here it is - a selection of fan mag pics, trivial teen mag cuttings and in depth band interviews in the serious music press - it's the Slade Scrapbook. Hit Counter - Thank you for reading this site! Website created - December 2009 - 7 Years Old!